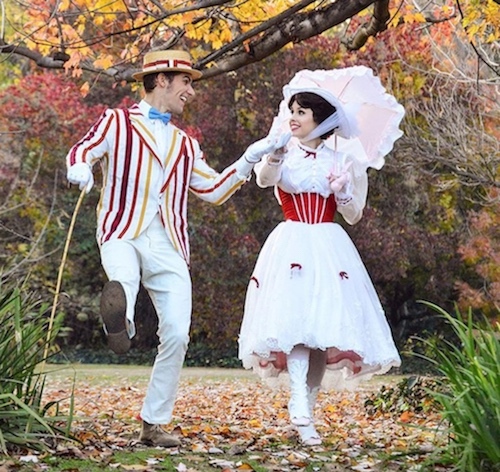 This is a Jolly Holiday Mary Poppins dress. It is made of a white embroidered organza. On the dress are tiny red satin bows on the skirt. The sleeves are adorned with white insert lace and red satin ribbon looped through the holes at the wrist. 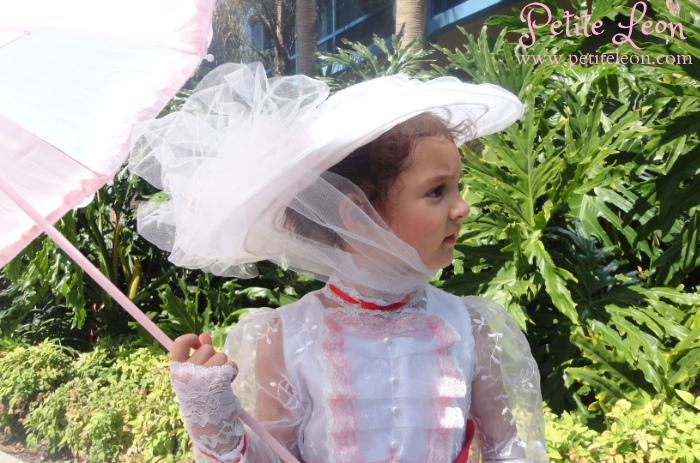 On the bodice you will notice a white organza ruff covered in white and pink doll lace and in the center you will find plastic pearl buttons. The collar is also made of organza. This collar is also adorned in the very same white insert lace and red satin ribbon as the sleeve cuffs. The collar is fitted, and shaped in a V at the side, at the edge of the collar you will see that it is also adorned with a 1/2" white Venice Lace. Also with this listing you will receive a red satin corset, made with white cording at the seams and gold eyelets at the center back. This dress will be made according to your measurements. 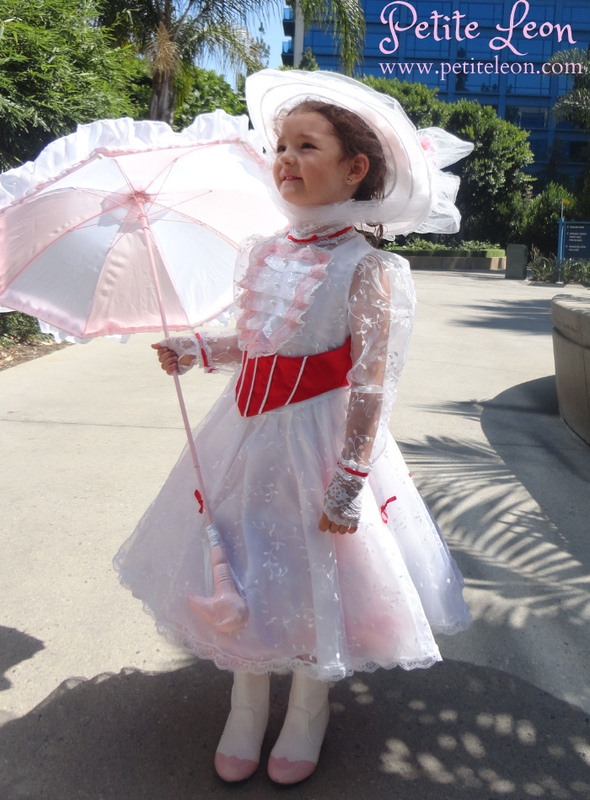 The collar is a fitted collar with ruffle at the center of chest with buttons through the center and a red ribbon bow. Your dress will have a zipper down the center back. The hat is made from a stiff horse hair material. The brim is fully wired and can slightly be bent. Features white tulle through out, with lovely pink & white silk flowers. The spats are made of a white cotton denim, has a slight stretch, featuring pink buttons on the sides. They are fastened at the bottom with velcro. Price Includes shipping. Please message me if you would like to include additional inssurance and signature confirmation.